I find it amusing how many people compare this book to Harry Potter. Yes, they both involve magic, but that's the end of the similarity. The very basis of magic in this book is that magicians are evil, scheming, and enjoy enslaving other beings. In Harry Potter Magic itself was pure, free to be used in any way desired. But that's all I'll say on that, as this is a review of Bartimaeus, not Harry Potter. After only the opening chapter, I was in love with the writing style Stroud uses in this book. The characterization of the djinni, Bartimaeus, is absoutely amazing and delightfully enjoyable to listen to. Nathaniel's character was not as interesting, but held true to what one would expect in a child that age. After being horribly spoiled by the phenomenal narration of people like Stefan Rudnicki (Numerous books, including most Orson Scott Card books), Scott Brick (Harry Potter, US edition I believe), and Michael Kramer (Robert Jordan's Wheel of Time), I was hoping for someone I wouldn't mind listening to. What I got was another fantastic narrator in Simon Jones. He really brings the characters to life. All in all, there is little negative to say about this audiobook. The story is rather predictable, but it still immerses you in an interesting magical world, not your standard fare. 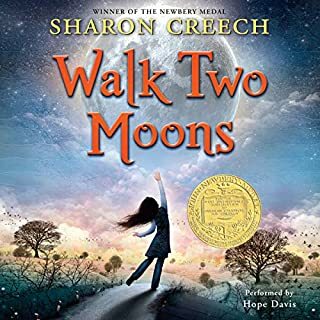 I would recommend this book for both adults and children, though not young children under the age of 10 or so, due to it's dark and relatively violent nature. Favorite Book in a Long Time! I love listening to books when I can't read them. But I am rather picky about narrators. With the wrong narrator, I can't even make it through a book I highly enjoyed reading. 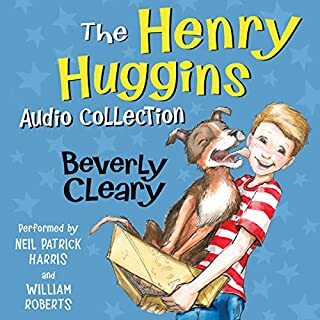 In the car, or working around the house with my iPod docked, I listen to children's books because I have two small children and I don't want them hearing profanity or adult content. All that being said, this is the ONLY book that I have ever become completely enthralled with in the first 5 minutes of listening! The author was extremely witty and Simon Jones does an excellent job. I can't say enough about Simon Jones with this set of books!!! He easily replaced Jim Dale as my favorite narrator (which I thought could never happen). Some kids books are hard to listen to- this one is not. I can't imagine anyone, old or young, not enjoying this book and this series! 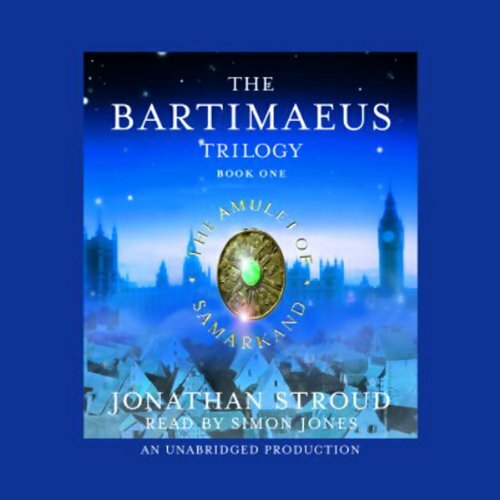 'The Bartimaeus Trilogy' gets 5 stars for all three books, not only for plot and story, but for Simon Jones' award-winning narration. Set in a London full of greedy and back-stabbing magicians, who get their power by summoning and enslaving entities (not Demons; Bartimaeus finds that insulting) from the 'Other Place', we first meet Nathaniel as a 12-year-old magician's apprentice. Talented, eager and impatient, he's not always a 'good' boy or even very likeable. We can understand him though, and see why he acts like he sometimes does; it is the way other magicians behave, and we can see what motivates him and why. Deep down, we also realize he does indeed have a caring and good soul. Bartimaeus, the 5000-year-old djinni Nathaniel enslaves to do his bidding, is a riot, and also has a few tricks up his sleeve to keep Nathaniel in line. He is one of the funniest beings I've ever come across. Bartimaeus is also a character with many sides, and his relationship with another young master thousands of years ago is actually very emotional as we learn more about it over the course of the three books. Kitty completes the trinity of main characters, and gives our third point-of-view, that of a commoner fighting the oppression of the magic users. At first eager, then disillusioned, and in the finale more enlightened than any one, she provides a good balance to the goings on of Nathaniel and the upper-class of magicians. Over the course of these three books, our three heroes change and mature, taking us along on a thrilling ride full of witty humor, scathing sarcasm, melodrama, tragedy and pathos. Simon Jones does the story proud with brilliant narration and voices. Ranked as a Golden Voice by AudioFile Magazine, nominated for nine 'Audie' awards -two of them won- in 2006, he was also named 'Narrator of the Year'(2005) by Publishers Weekly. Star of stage and screen, we can all be thankful he still finds time to tell us stories like this one. 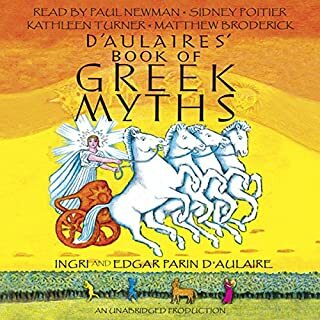 This is by far the best audio book I have ever listened to, and it's a classic case of where the narrator really makes the audio book shine above the original. Simon Jones was phenomenal...his accent, comedic timing, and fantastic voice acting added so much to this already original and captivating story. Both this book and its follow-up (Golem's Eye) are absolute musts, and I can't wait until the next one comes out. This is a charmingly witty and entertaining book. That being said there a few darker sections but that's what gives depth to the story. The djinn, Bartimaeus's wry observations on the people and happenings throughout the book are perhaps what makes this story interesting for adults as well as young adults. I think Simon Jones does a wonderful reading and that his British accent adds to the performance. Even though it says Book 1, don't worry it doesn't leave you hanging at the end the way so many trilogy's do. This story is completely resolved but it does set the scene for the next book, which I hope is soon. It's Arthur Dent as you've never heard him before! For those who didn't get the title, Simon Jones is probably best known by some as the voice of Arthur Dent in the BBC's TV and radio adaptations of The Hitchhiker's Guide to the Galaxy. But he does an excellent job of narrating audiobooks from what I've heard, particularly here. The Amulet of Samarkand opens with the spirit Bartimaeus being summoned by the apprentice magician Nathaniel and ordered to steal a powerful artifact from a ruthless magician. Unfortunately for Nathaniel, he quickly finds himself in way over his head, involved in matters of treachery and intrigue. And to make matters even more complicated the wisecracking, sarcastic Bartimaeus has his own agenda. I particularly like how the book switches from Nathaniel's point of view over to that of Bartimaeus, and particularly how when speaking from Bartimaeus' point of view it switches to first person narration. I particularly like Simon Jones' narration during these points, as he easily and perfectly captures Bartimaeus' witty, often scathing sense of humor. I haven't finished the book yet but I can't put it down for long. And when I've enough credits saved up I intend to purchase the rest of the trilogy. While the story was predictable, the telling of it was fun to listen to and I found it quite entertaining. I especially enjoyed the character creations. I found Bartemaeus to be a delightfully sarcastic demon. I could almost envision Robin Williams' Djinni from the movie 'Aladdins Lamp' as I was listening. I was a bit disappointed with Nathanials development however. I didn't care for his pompousness and disregard for other people, but at least you know that deep down he does have a good heart. I was also a bit confused by the chronolgy of the book. In one section they are talking about the War with the American colonies, and then later make references to people like Stalin, Lincoln and Churchill. In alot of ways the author was all over the place. But; like I said, all of that aside, I still found it to be very entertaining and all in all I gave it four out of five stars. 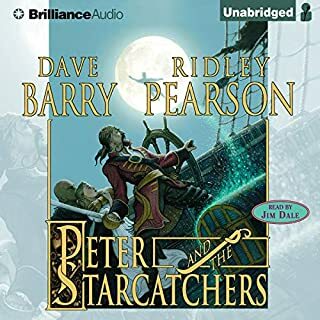 After listening to dozens of audiobooks, Simon Jones has quickly become my favorite reader. 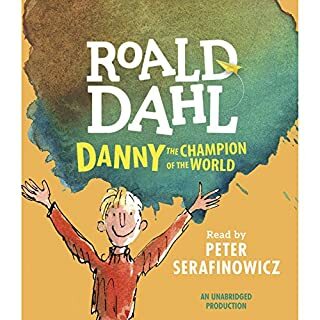 With an easy-to-understand British accent, excellent vocal range and pacing, perfect enunciation and terrific character voices, he does yet another outstanding job with this book. The book itself is something kids and adults will enjoy. The main characters, Nathaniel (a young magician's apprentice), and Bartimaeus (a demon conjured by Nathaniel and forced unwillingly to do his his bidding) are well-developed and brought engagingly to life by the reader. Bartimaeus's wry comments about Nathaniel and life in general will have the listener chuckling quite often. Nathaniel is somewhat of an anti-hero at first; he's deceitful, proud, arrogant, and above all impatient to prove and test his abilities, which of course causes all kinds of tragedy, mayhem and suspense. The author's style of writing several chapters first from the demon's viewpoint and then the boy's keeps things quite interesting and engaging. We get to see what's motivating both of them from different vantage points, and it works well to keep the story flowing smoothly and provides a cliff-hanger or two when we switch from one to the other. Simon Jones also reads book 2, which is every bit as good as this one. Both are well-worth repeated listenings. Here's hoping he reads book 3 as well. 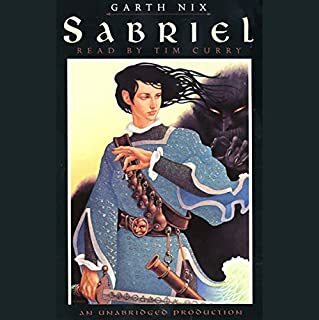 What made the experience of listening to The Amulet of Samarkand: The Bartimaeus Trilogy, Book 1 the most enjoyable? What other book might you compare The Amulet of Samarkand: The Bartimaeus Trilogy, Book 1 to and why? I started out thinking it would be sort of a Harry Potter style world. However, this was... different. Stylistically, and the whole philosophy of magic here - are very different from the Harry Potter. It's rather darker, and - different. Still very enjoyable, but don't expect Hogwarts v2. The ending was very moving. Keep listening, it really wraps up the story well. This is a book I forgot I read before! I have no idea how I forgot. Bartimaeus is a grand, sarcastic, put upon djinni who has to deal with the his "master" 12-year old Nathaniel making terrible decisions at every turn. Simon Jones did really good acting with the voices :D looking forward to the next one. Magic in an alternative version of London, with magicians in Parliament and a distain for commoners that is nearly offensive to the poor reader. Loved it!